We continue with more choice soundtracks from classic Sierra point 'n' click adventures. Today we take a look at the VGA remake of the first Police Quest, also known as In Pursuit of the Death Angel. While I have fond memories playing the original AGI (Adventure Game Interpreter), EGA version of the game that came out in 1987, you couldn't beat the soundtrack of the remake which epitomised 80s cop show or action film music. I mean check out this awesome introduction theme to the game. Lots of wailing guitars and it surprisingly sounds pretty good despite it being MIDI. It might have something to do with the audio being played back on a Roland Fantom XR Sound Module though since standard sound cards of the day wouldn't have made it sound as good. 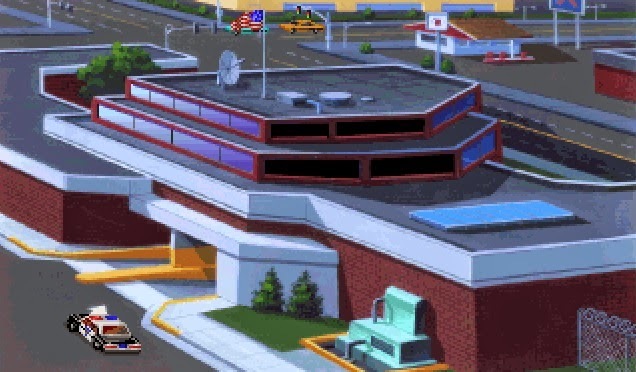 Also note the little jingle starting at 1:26 - that's when you drive your car into the police station at the start of the game. Thanks to Sierra On-Line and Quest Studios for providing these memorable tracks.